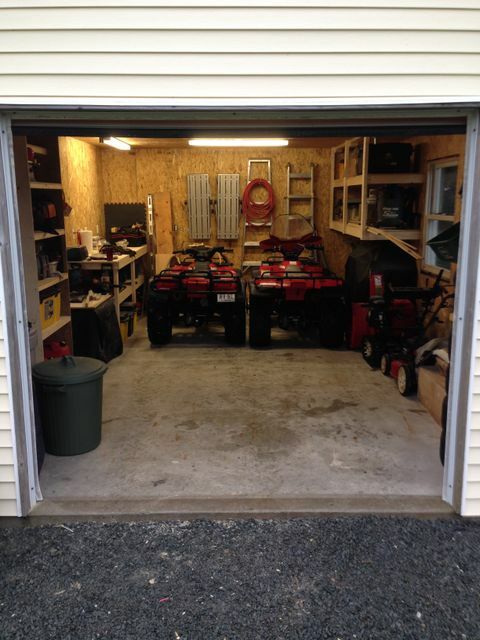 When I first stepped inside Andrea's garage a couple years ago to help him reassemble is Honda Foreman I couldn't believe the clutter of crap that filled the garage. I kept telling him, "you don't have to live like this" lol. After about a year of razzing we started a purge of the hoard. 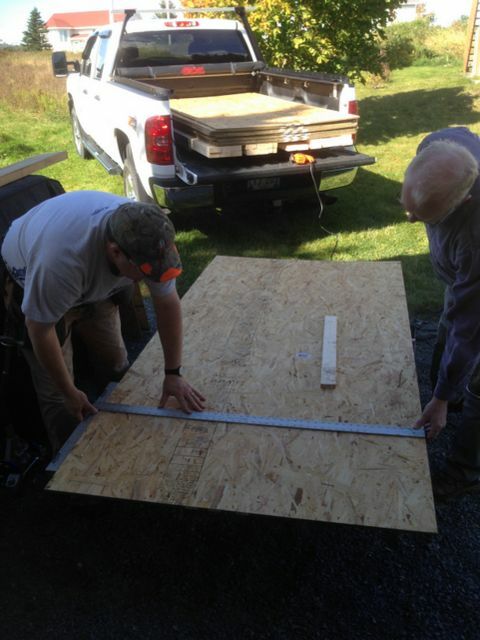 We picked up sheets of OSB and closed in the interior walls and ceiling. We left two attic hatches to gain access to the valuable storage space above (for stuff, not crap!) An electrician buddy rewired the garage and installed 4 fluorescent light fixtures. 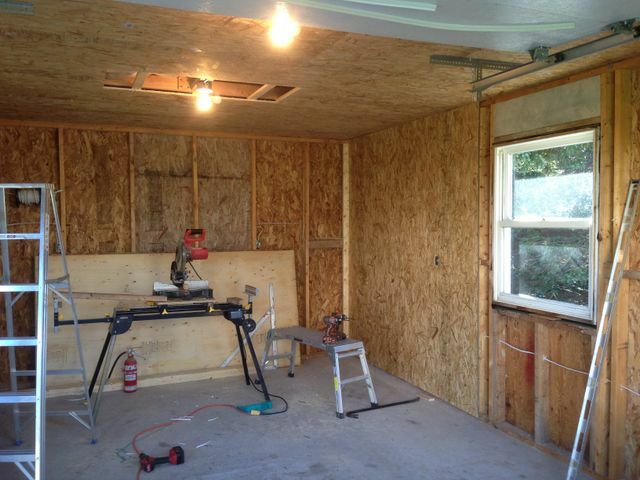 With the walls finished we started on a plan to organize the garage so he could store stuff, work on the bikes, and easily access all the ceramic tile tools without having to move 100 objects. The hanging shelves were firmly anchored to the trusses and provide great storage without sacrificing floor space. 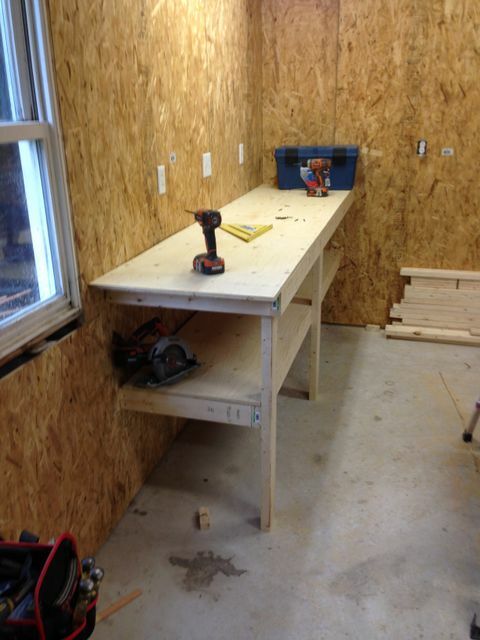 The work bench provides more storage and a great work surface. A smaller shelf next to the door provides storage and easy access to the ceramic tile tools. 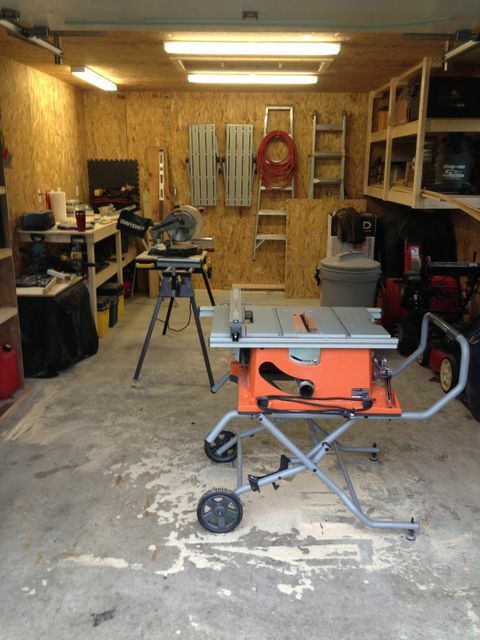 While its nice to be right, its even nicer to show someone how much better a shop can be with a little organization.